Happy New Year, everyone! Technically, it isn’t quite 2016 yet—as I’m writing this, we still have 14 hours and 8 minutes to go—but the new year is just around the corner, and so too is the first Kentucky Derby prep race of 2016! On January 2nd, nine up-and-coming Derby contenders will face off in the $200,000 Jerome Stakes (gr. III) at Aqueduct, a race that offers 17 Derby qualification points to the top four finishers. So without further ado, let’s start handicapping! 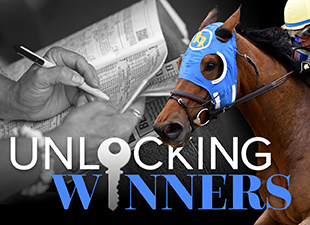 The first Kentucky Derby prep race of 2016 presents an interesting handicapping challenge. Several of the most promising young runners in the race, including Bird of Trey, Condo King, Vorticity, and King Kranz, have achieved their success in sprint races and have never run farther than seven furlongs. The Jerome, being a mile and seventy yards around two turns, will be a new experience for them. For that reason, I’m gravitating toward the race favorite Flexibility as my selection. Trained by Chad Brown, the son of Bluegrass Cat won his first race in impressive fashion at Belmont Park, rallying strongly to win a 6 ½-furlong maiden special weight by 1 ¾ lengths. In his next two starts, he proved he can handle more distance by finishing second in the one-mile Nashua Stakes (gr. II) and the nine-furlong Remsen Stakes (gr. II), giving early Kentucky Derby favorite Mohaymen a stiff challenge in both races. His effort in the Remsen was particularly strong, for he showed more tactical speed and still ran the final three furlongs in about :37 seconds, an excellent fraction for such a young horse. In fact, he might have won the race if Mohaymen hadn’t gotten a perfect ground-saving trip. Since then Remsen, Flexibility has posted a trio of solid workouts at Belmont Park, and from all appearances, he’s entering the Jerome in great form. His proven ability to handle two turns, coupled with his speed and versatility, should make him a contender no matter what pace scenario unfolds. To me, Flexibility looks like a standout in the Jerome, and I think he’ll be successful in securing his first graded stakes win this Saturday. For second place, I really like Bird of Trey. The John Servis-trained colt has not missed the board in five starts so far, and last time out, he dominated the seven-furlong Pennsylvania Nursery Stakes at Parx Racing, winning by 7 ¼ lengths under a hand ride. His effortless victory was achieved in a solid time after tracking fast fractions, and as a son of Birdstone, Bird of Trey should be able to handle the distance of the Jerome. This will mark his first start in a graded stakes race, and his first start at a track other than Parx, but my feeling is that Bird of Trey is really getting good right now and is ready to take on the big leagues this Saturday. Vorticity is another colt that warrants respect after scoring two straight wins going seven furlongs, including a determined triumph in the Marylander Stakes at Laurel Park. By Distorted Humor out of the three-time graded stakes-winning mare Tar Heel Mom (a daughter of Flatter), Vorticity’s pedigree has enough stamina influences to suggest that he can handle the distance of the Jerome, and he will be ridden by Jose Ortiz, one of the leading riders at Aqueduct. Condo King and King Kranz, separated by just a neck when finishing 1-2 in a 6 ½-furlong maiden special weight on December 5th, are also major contenders. Of the pair, Condo King probably has the stronger pedigree for stretching out in distance, while King Kranz—being by Munnings out of a Henny Hughes mare—might prove best as a sprinter. His racing record supports this belief, for he has shown a tendency to flatten out after producing a big rally, which can be a sign that a horse is more of a late-running sprinter than a distance runner eager to tackle longer races. I would also like to mention Todd Pletcher’s Donegal Moon, who finished fifth in the Remsen Stakes, seven lengths behind Flexibility. He was the pacesetter that day and led for six furlongs before tiring, but in his previous race, he won a one-mile maiden special weight at Keeneland by 4 ¾ lengths, running the final quarter-mile in a quick :24.78 seconds after setting a slow pace. Like Flexibility, Donegal Moon’s proven ability in two-turn races could be a major asset, and with a slow pace a possibility in the Jerome, I wouldn’t be surprised to see Donegal Moon secure the early lead and take this field a long way on the front end. Now it’s your turn! Who do you like in the Jerome Stakes?